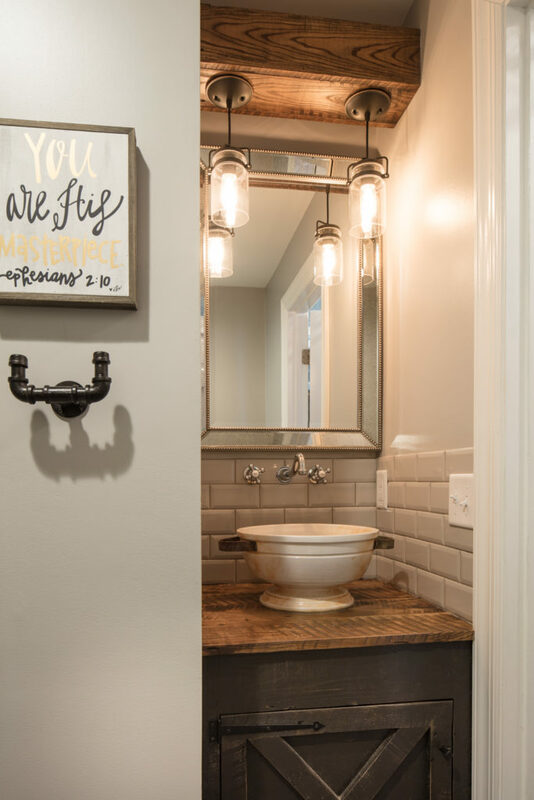 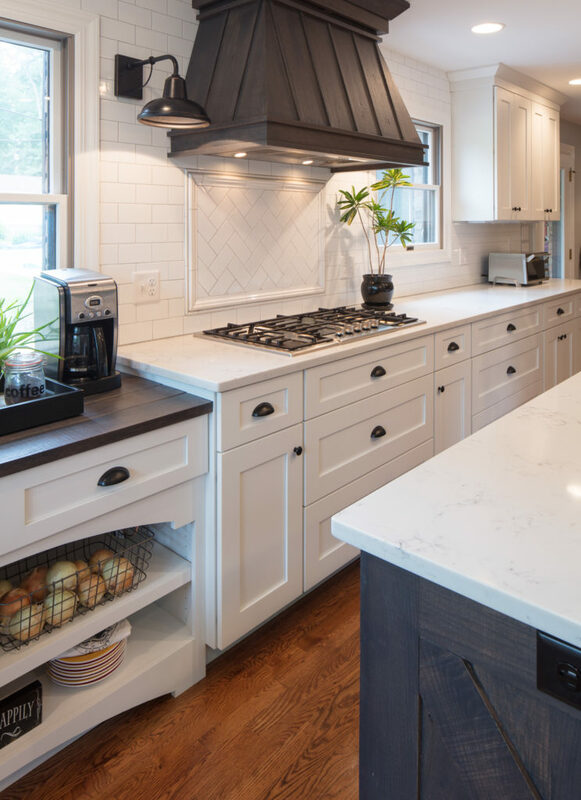 Shaker Cabinets with 3″ Rail. 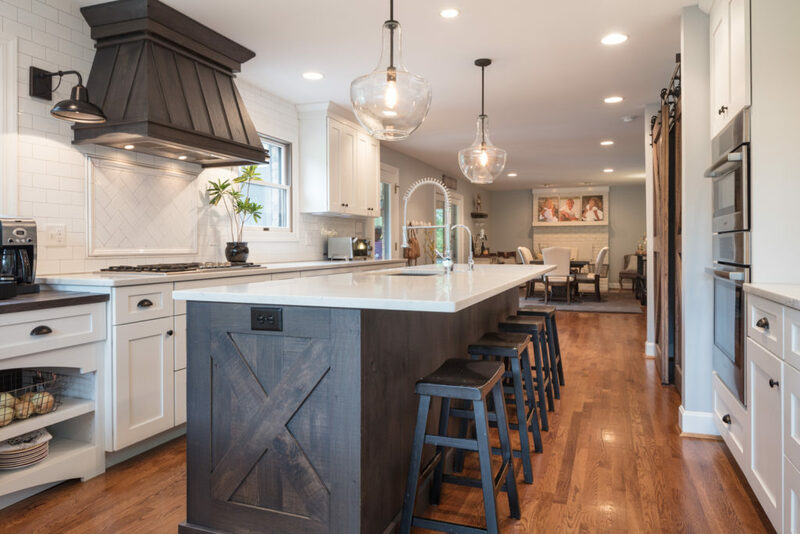 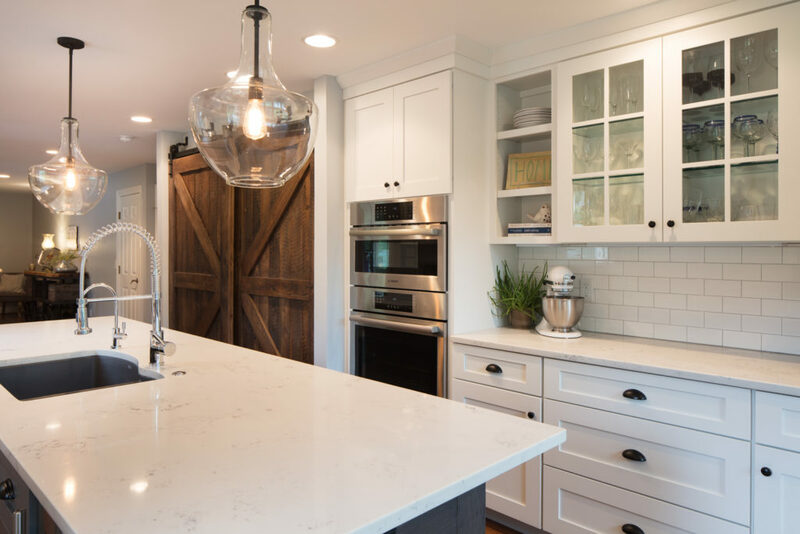 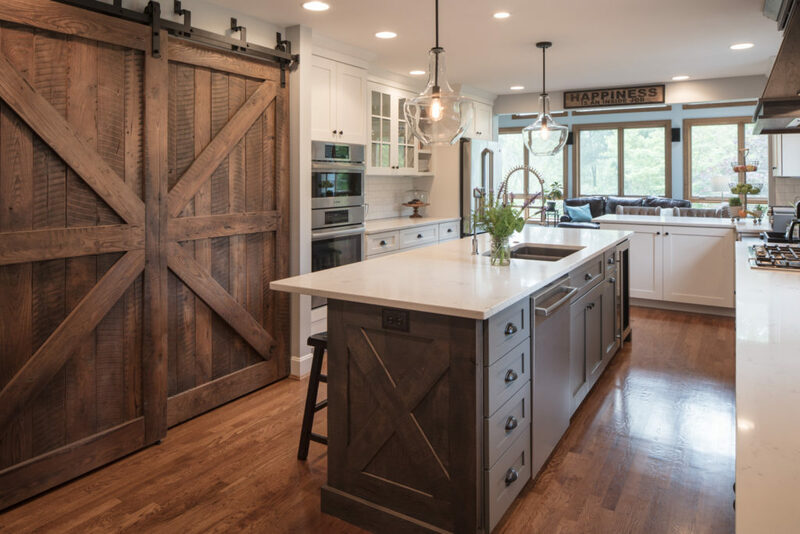 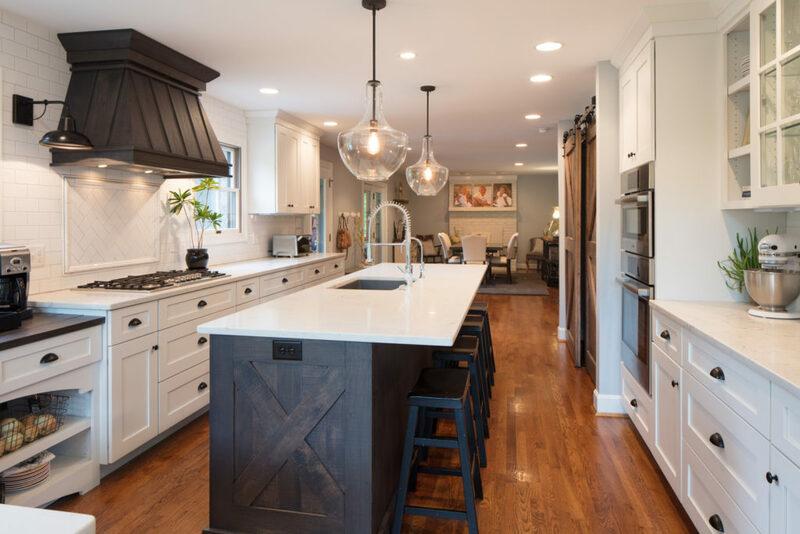 The color of perimeter cabinets white, Island is Gray (West Chester), Hood is wrapped in Barnwood. 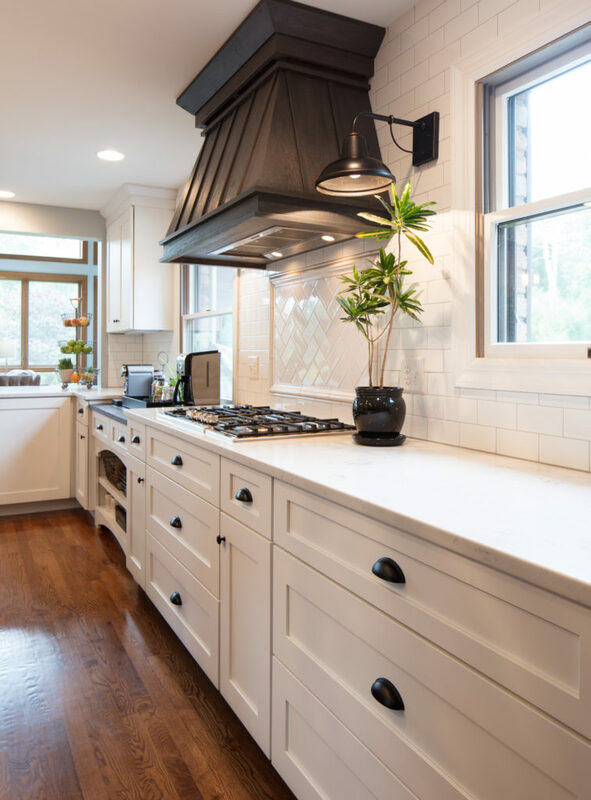 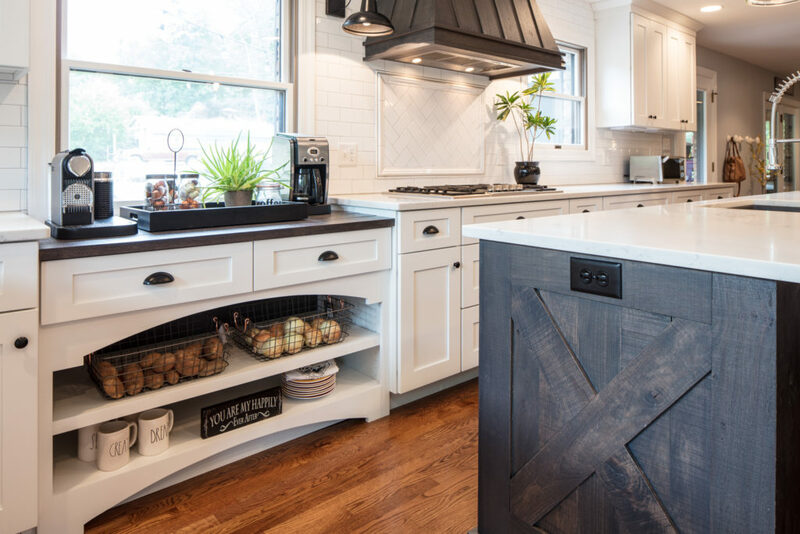 This kitchen features X’s at the ends of the Island, a Coffee Bar, Subway Tile, and Quartz countertops. Shaker Cabinets with 3" Rail. 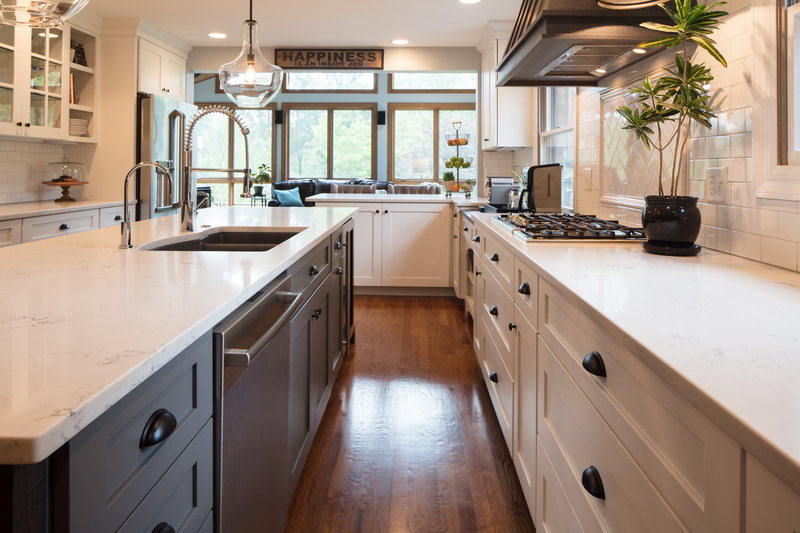 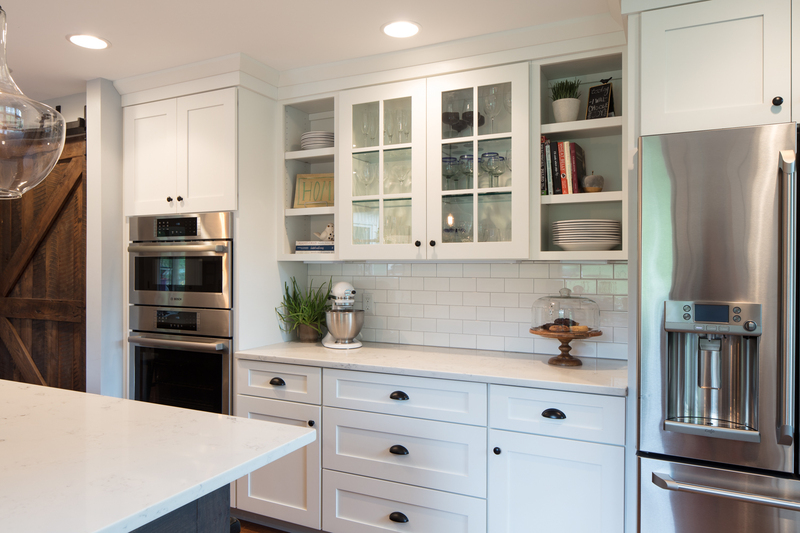 Color of perimeter cabinets white, Island is Gray (WestChester), Hood is wrapped in Barnwood. 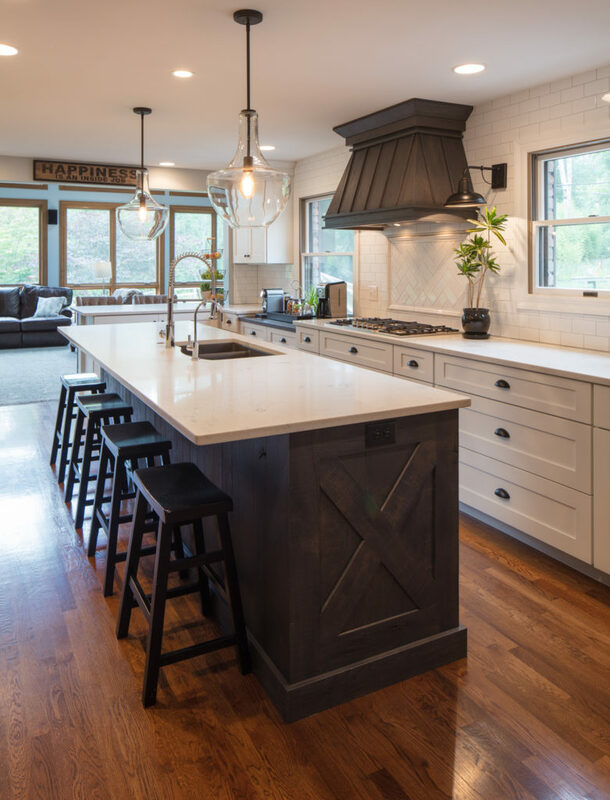 This kitchen features X's at the ends of the Island, a Coffee Bar, Subway Tile, and Quartz counter tops.